While most people settle down for November and December in anticipation of the home comforts of the holiday season, many world travelers around the globe continue their journeys through foreign lands. Most travelers don’t want to interrupt their excursions with a flight all the way home; plus, travel is about new sights and experiences, and there is nothing more thrilling than learning how other cultures celebrate during this time of year. Still, being away from home during the holidays can be tough. Here are some tips to help fellow travelers survive their first holiday season abroad and some of the best places to be during the holly jolly days of December. Around the world, the holidays are a time of giving and acceptance, and most communities will be more than eager to welcome you into their holiday festivities. Find a religious center or a particularly lively neighborhood, and try to integrate yourself into the goings-on. You can learn more about local customs and beliefs, and in return you might choose to teach the locals about your own family traditions. No matter what, you’ll be surrounded by joyful and caring individuals, like you would be at home. Most savvy travelers have a strict travel budget for every place they visit, which helps them afford their lives of excitement and experience. 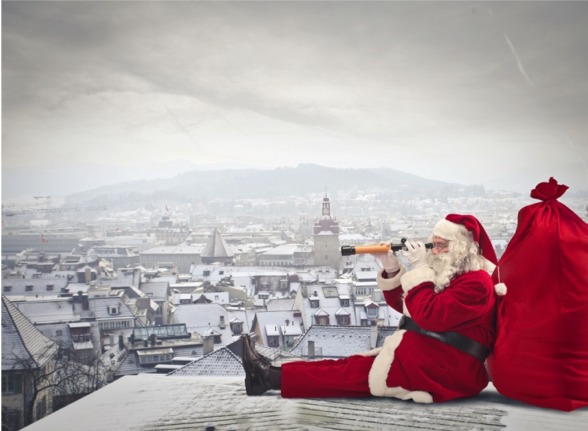 However, the holidays are not a time to scrimp and save, even if you are living abroad. If you were celebrating at home, you would be sparing no expense to provide lavish feasts and fantastic gifts to your loved ones, and you should try to replicate that benevolence while you’re away. Treat yourself to a rich meal and a nice drink, and buy yourself a fancy gift. You’ve spent so much time being good to your budget, and some luxury during the holidays is your reward. In the digital age, distance doesn’t do much to thwart communication. It doesn’t matter if you’re half a world away or in the next room — you can call up your family and friends on any of a dozen different video messaging applications. Though you won’t be able to embrace your loved ones in front of the fire or taste your mother’s signature pumpkin pie, you can laugh and talk just as you would if you were together. If you find your homesickness increasing to unbearable heights as December 25 creeps closer and closer, you might as well find a cheap flight home on Flights.com. After all, the holidays are a time to be with family, and staying abroad during this special time of year will make you resent your travels and hurt your heart. You might as well take the opportunity to see friendly faces and enjoy the comforts of home. The songs may claim that the holidays are best spent at home, but world travelers have found dozens of places that host far more exciting festivities than anything at your grandparents’ house. If you want to fly to a new country for the holidays, here’s where you should go. Amsterdam, Netherlands. If you have kids in tow, you should strongly consider heading to this traditionally adult Dutch city, where the native belief in Santa Claus is alive and well. Plus, during winter, you can get from here to there by ice skate, using the city’s connecting canal system as passageways. San Juan, Puerto Rico. 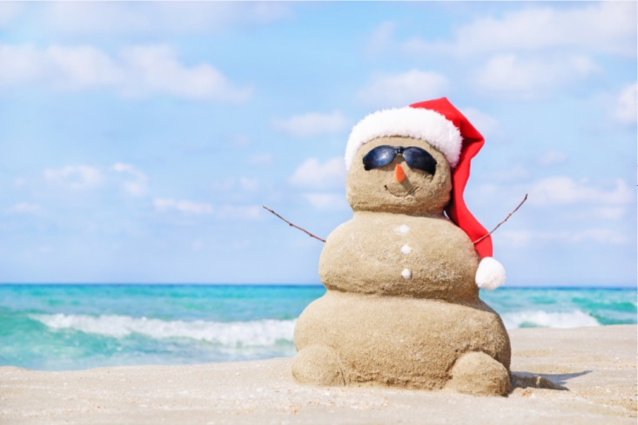 A White Christmas doesn’t necessarily have to mean snow — Puerto Rico’s white sand beaches work just fine. You can carol to a Caribbean beat and place your presents under a palm tree while you feast on ripe mango and tamarind for holiday dinner. Munich, Germany. Travelers looking for the world’s most traditional Christmas should set their sights on Bavaria. Munich boasts lavish decorations, annual markets, and restaurants full of mulled wine and old-fashioned gingerbread. Zurich, Switzerland. Despite the short daylight hours, the holidays are a time of light in Zurich. More than 12,000 crystal lights twinkle around the city, and throughout December, children float flickering candles down the Limmat River. Bali, Indonesia. If you want nothing more than to escape the holidays, fly to Bali where the serene sound of gongs and chimes replace cloying Christmas carols. While you might not see any visions of sugar plums, you will experience stunning scenery and a calming atmosphere.